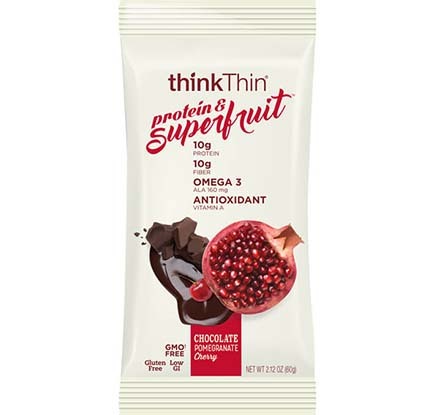 A portable, nutritious snack covered in decadent chocolate providing an indulgent taste that satisfies hunger. 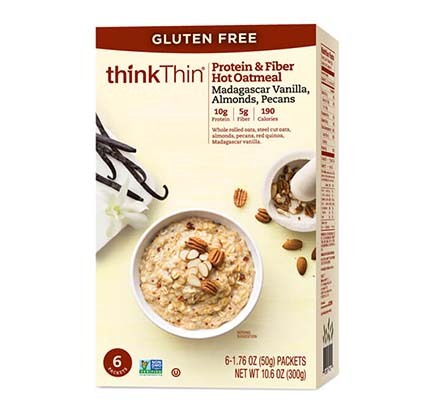 **Foods with scores 55 and under on the glycemic index are considered low glycemic because they are digested slowly, resulting in more gradual changes in blood sugar levels. 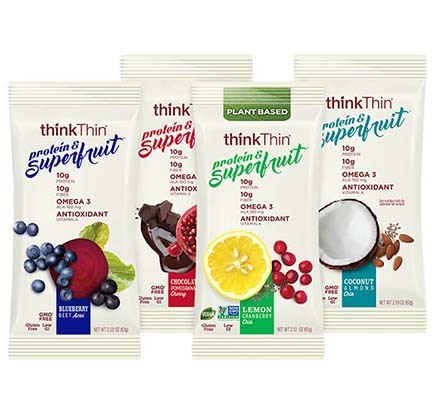 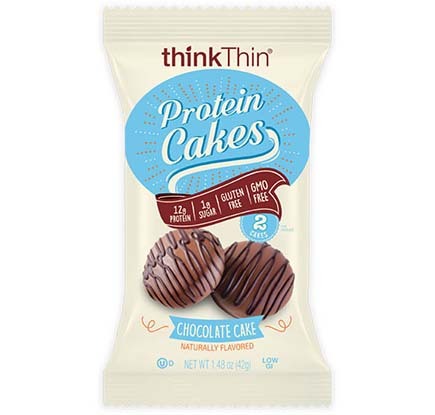 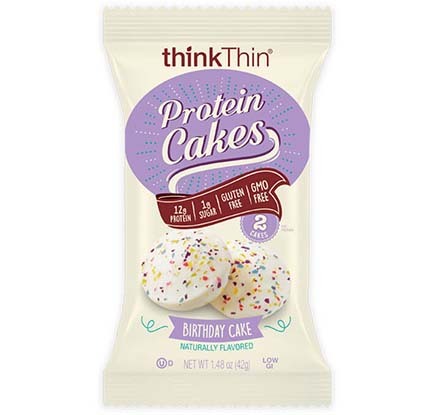 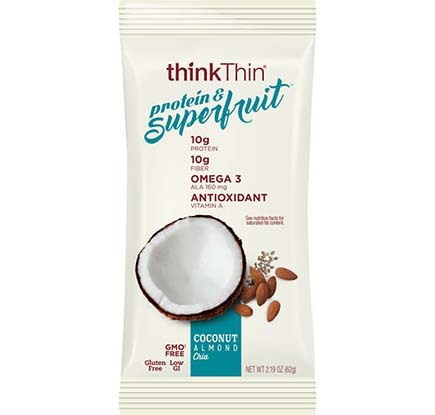 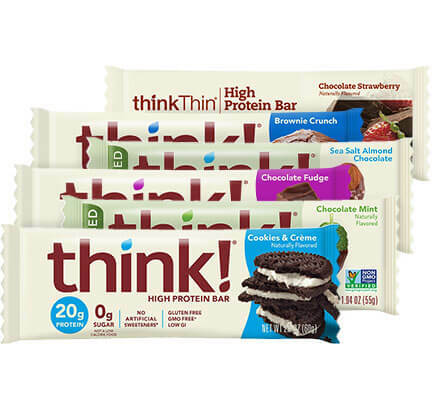 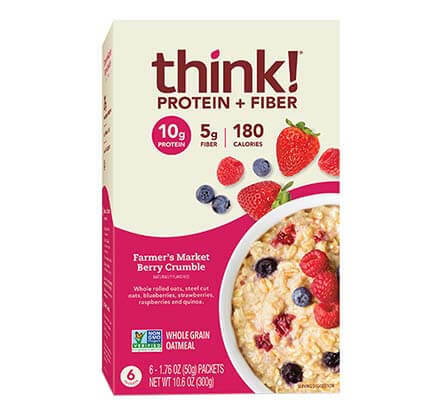 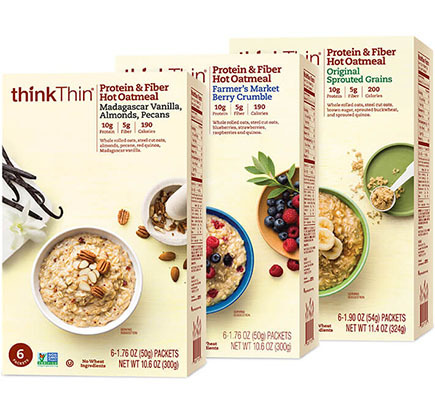 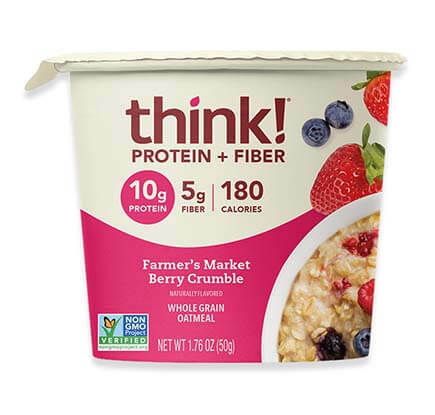 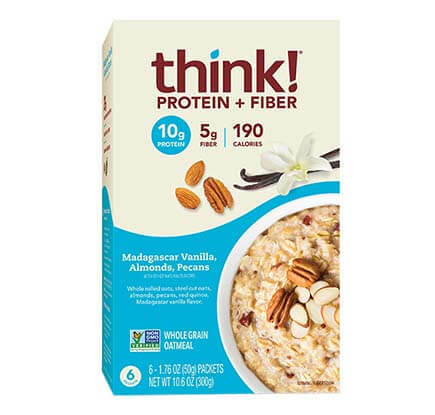 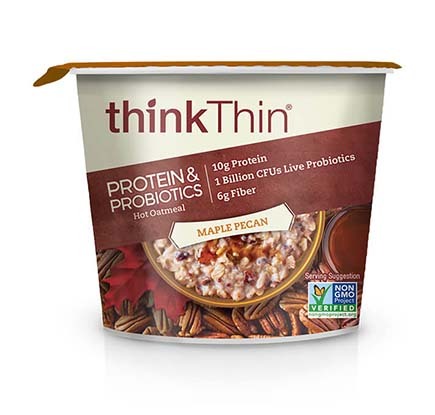 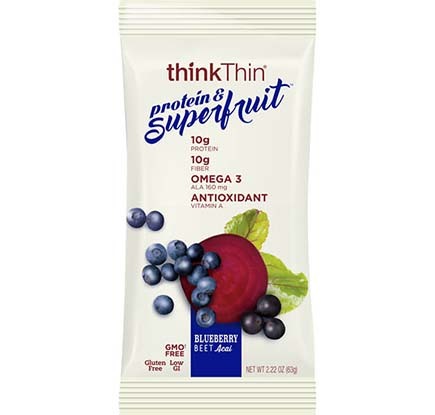 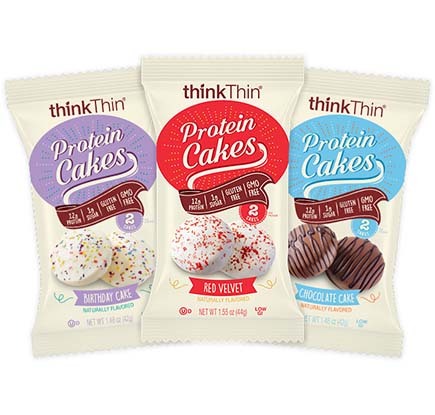 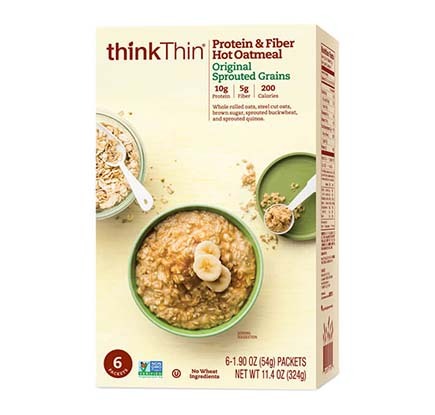 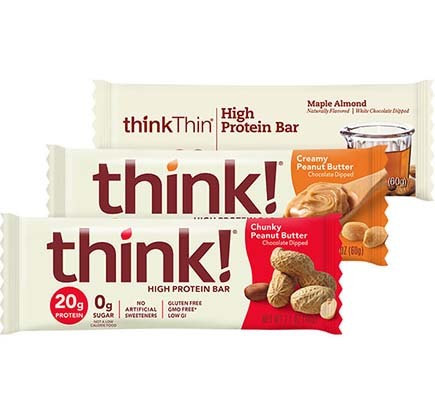 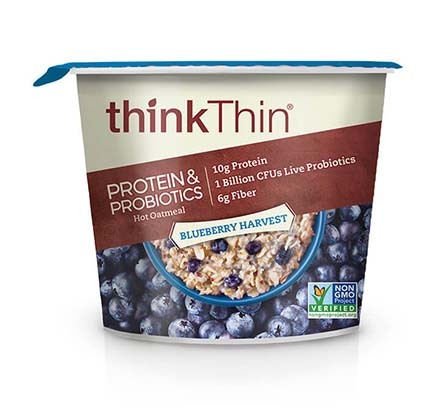 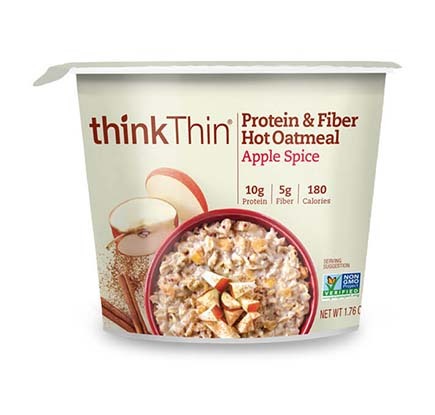 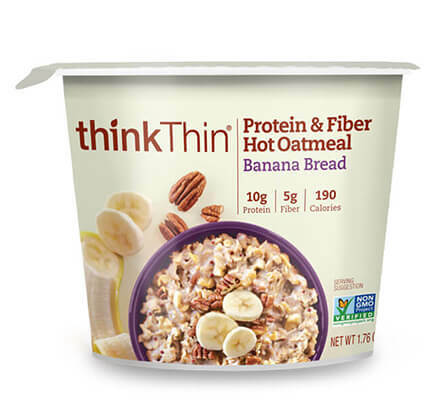 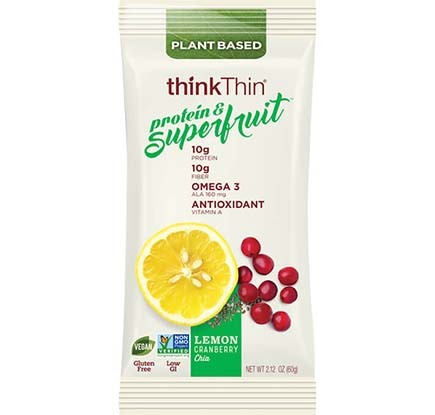 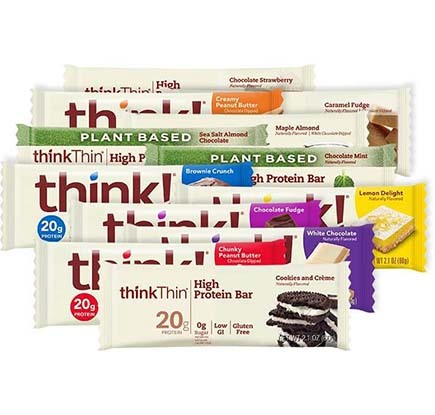 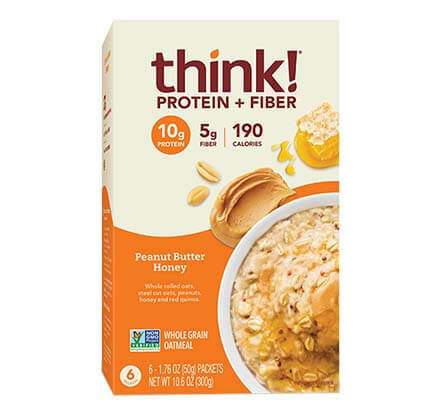 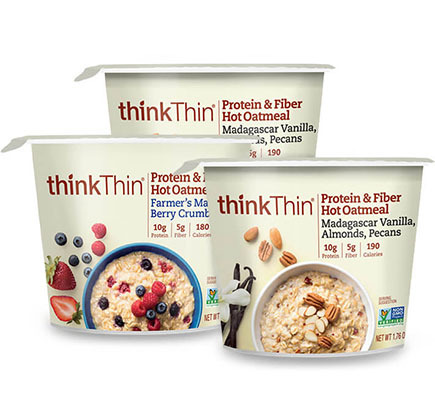 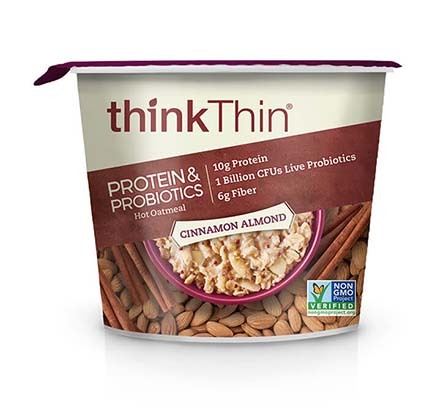 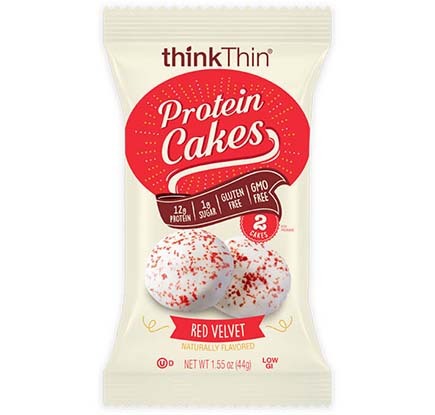 All thinkThin ® High Protein Bars are certified Low Glycemic. 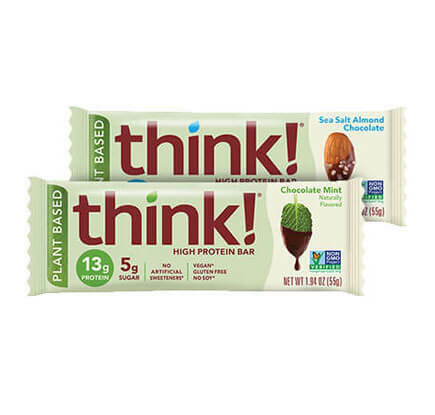 Soft and chewy baked bars that combine the benefits of protein with real fruit and wholesome ingredients. 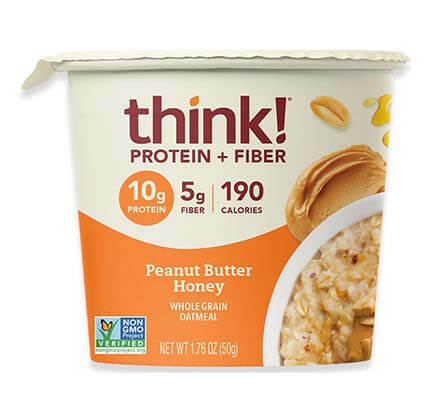 Help keep your body and belly healthy. 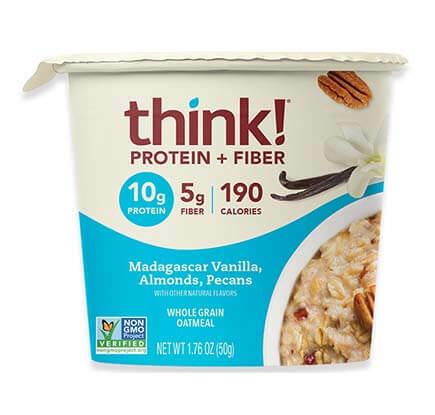 Maximize your day with the hottest trifecta of protein, probiotics and fiber.